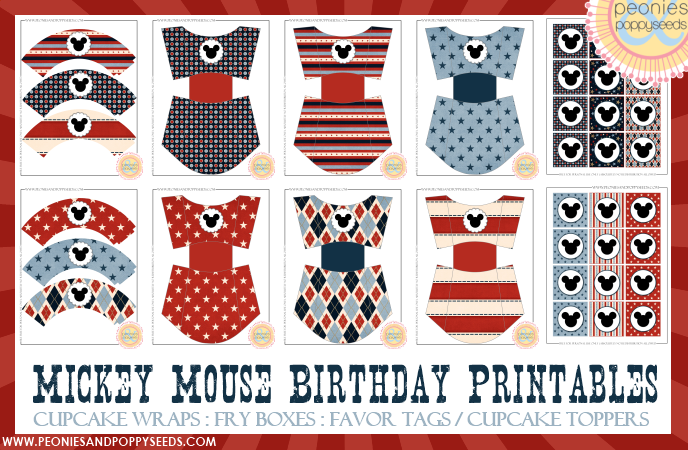 Get your Mickey on with these fun party printables! Fry boxes are great for holding treats and snacks, while the cupcake wrappers add a little extra pizzazz to your delicious cupcakes. And the favor tags can be used as is, or you can punch them out with a circle or scallop punch for extra detail. Enjoy! And check out all our Mickey stuff here!